Dr. Pugliese has contributed chapters to over a dozen books and published over 60 scientific papers. He has authored four books, including, in 1990, the first textbook written for estheticians by a physician, Advanced Professional Skin Care, to bridge esthetics and medicine with a common language. His newest publication is Advanced Professional Skin Care – Medical Edition. Everything that is relevant to the educational and professional roles of estheticians is covered in great detail in this book. Dr. Pugliese teaches advanced courses for the skin care professional in skin physiology, histology, biochemistry, cosmetic chemistry and medical esthetics. His goal is to elevate the practice of esthetics to the status of a profession through higher standards of education in the United States. 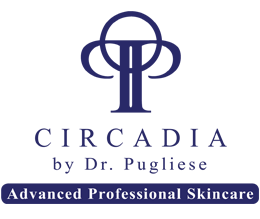 The Circadia skin care line is the culmination of all his hard work and research in skin and aging. Circadia is his proven formula for skin health! Advanced Professional Skin Care, Medical Edition by Peter T. Pugliese, MD The gold standard of information for every skin care practitioner. Used as a textbook and a reference, this 2005 masterpiece of skin science opens the door to understanding the biological processes of age related disorders. For estheticians and physicians in the beauty field, this book provides an instant resource to use in building an ongoing relationship with a patient/client, including pre and post op care of the skin. Fully illustrated, comprehensive index, many helpful tables and diagrams. Great gift. Autographed by Dr. Pugliese upon request.